100% Pure and Natural Bergamot FCF Essential Oil - Suitable for use in aromatherapy blends, candle manuacture or inclusion in cosmetics subect to approved safety levels. Reputed actions: Refreshing, Uplifting & Balancing. Citrus Bergamia Peel Oil Expressed is an essential oil expressed from the epicarps of the Bergamot, Citrus bergamia risso, Rutaceae. Storage: Store product in full, tightly closed containers in a cool dry place away from heat and sunlight. Stability: When stored for more than 24 months, quality should be checked before use. 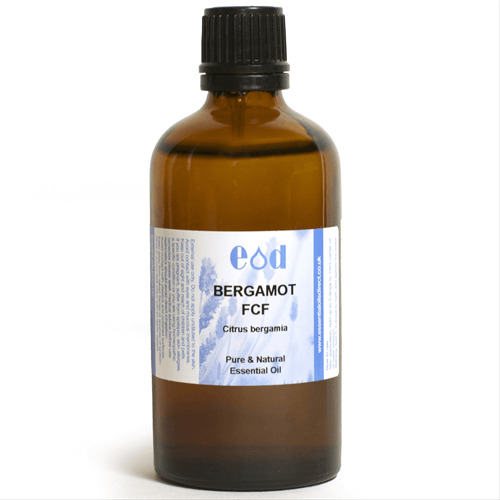 Botanical Origin: Citrus Bergamia Peel Oil Expressed is an essential oil expressed from the epicarps of the Bergamot, Citrus bergamia risso, Rutaceae. Californian Proposition 65: Contains beta-Myrcene / Myrcene which is listed on the Proposition 65 list.